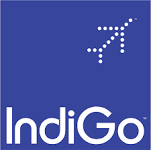 IndiGo is built for people with things to do, places to be, people to see - who don't want to waste time, money or energy in the process. We continuously focus on keeping costs low and a high frequency of flights while striving to fulfil our simple brand message of providing “low fares, on-time flights and a hassle-free experience” to our passengers. We commenced operations in August 2006 with a single aircraft, and have grown our fleet to 101* aircraft. We have a young fleet and the average age of our aircraft was 3.26 years*.